Reggie Copeland - Mediator based in Mobile, Alabama. If you’d like a list of available dates for Reggie Copeland, please submit a request below. You will hear back directly from Reggie 's assistant, Tre Copeland. Reggie is an experienced mediator and litigator who focuses primarily on product liability, nursing home-related claims, personal injury, insurance disputes, bad faith and commercial litigation. He has tried more than 100 jury trials in Alabama, Florida, Mississippi and Illinois. His successes include a products liability case in which he secured a verdict for his client in excess of $22 million. The month-long case concerned the design flaws in a slant blade meat saw used in butcher shops and was tried in a county in Illinois where there had never been a punitive damage award in a personal injury case. Reggie began actively mediating in 2007 and has handled several hundred mediations per year from that point to the present. His mediation experience has covered a wide range of disputes and can be seen in the Experience section of his profile. Reggie Copeland, Jr. graduated from Spring Hill College in 1975. Reggie received his law degree from Cumberland School of Law in 1978. He joined The Gardner Firm as a partner effective May 1, 2011. Reggie is an AV® rated lawyer by Martindale-Hubbell and in 2010 was selected for membership in the Best Lawyers® of America − Products Liability Litigation and in 2012 and 2013 for Plaintiff's − General Litigation. 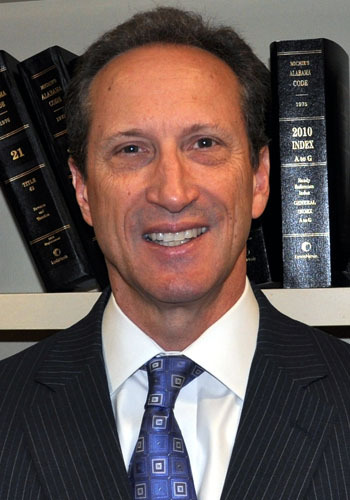 He is a member of the American, Alabama and Mobile County Bar Associations. He is a founding member of the South Alabama Trial Lawyers Association and served two terms as Vice Chair and one term as Chair of the Dispute Resolution Section of the Alabama State Bar. He is also a member of the American Bar Association Dispute Resolution Section. In 2013 he was a panelist at the ABA Section's Mediation Skills Symposium in Nashville, TN.